When people think of a sports rehab clinic, they picture chiropractors or physical therapists guiding them through their rehabilitation process. The RehabLab is different because it is a self-guided space that allows members to work on their rehab exercises when it is convenient for them, at their own pace. Book your RehabLab appointment now! NormaTec is the ultimate recovery device. 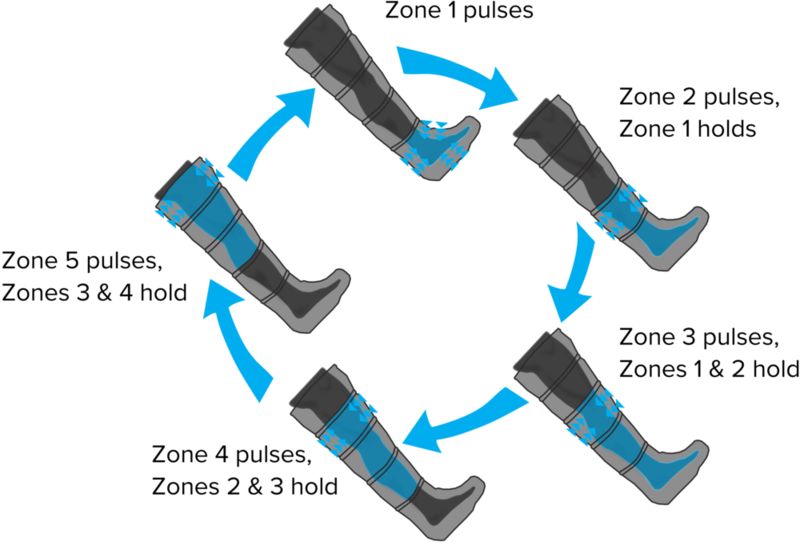 The technology can increase circulation and improve mobility for those who work out regularly, are training for a competition or race, experience swollen legs from traveling frequently, stand for long hours on the job, or suffer from inflammation, sore muscles, and other circulatory issues. 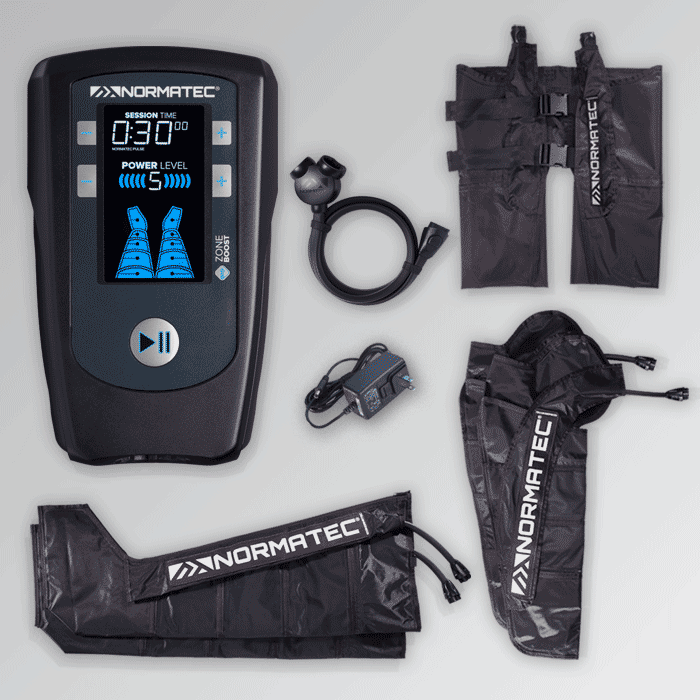 The NormaTec PULSE Series is a pneumatic compression device that utilizes patented technology to increase circulation to the limbs. Using NormaTec’s leg, arm, or hip attachments boosts blood flow and reduces pain and soreness. In addition to these benefits, studies show that NormaTec decreases inflammation, clears metabolites, and increases range of motion. The Hypervolt vibration gun is a cordless state-of-the-art vibration massage device that can be used on almost every part of the body. It is a lightweight device and is easy for any patient to use at anytime. Gravity, high impact exercises, and axial loading (such as back squats with a barbell) can compress the spine overtime and cause limited range of motion, muscle tension and back pain. The inversion table allows you to decompress the joints in your back, elongate the spine, and release muscular tension. The use of ice packs can combat post-workout soreness and injury-related swelling by decreasing joint and soft tissue inflammation and swelling. The RehabLab offers ice packs on-site, or for you to take home for an additional cost. How do I become a member of the RehabLab? The RehabLab is a membership based program at our Clintonville location at 609 Oakland Park Ave, Suite C.
Unlimited access to the RehabLab and Normatec Recovery Legs! We understand that your need for the RehabLab will change based on your training schedule and/or injury status, therefore we have a personalized and adjustable membership model. Members will always start at the “Base Membership” and your account will be billed monthly based on usage. 1st time members and returning members using the Recovery Legs need to reserve an appointment time below. Need to put your membership on hold or cancel?